Sorry for skipping out yesterday- time just ran away from me! The costumes got a dress rehearsal (pre-halloween costume party) Tuesday night and were a HUGE success. As over the top as it might be, there is something very cool about wearing a sparkly dress and now I am hooked. I'll share pictures next week. 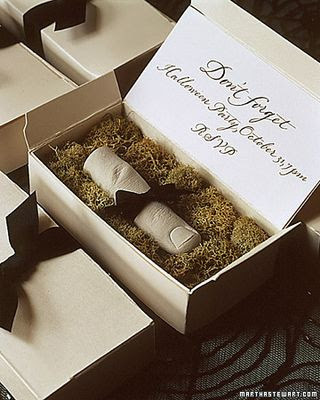 I love the string around the finger invite. Really creeps me out, but super original. 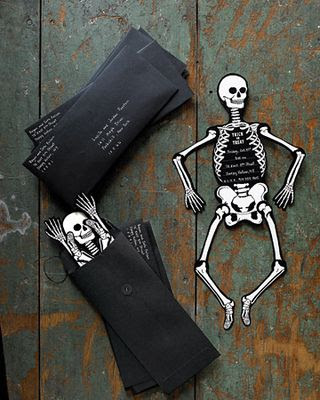 The skeleton one is just fun- plus I really like black envelopes. Oh and look at that bar setup! I think dry ice would be a cool addition to bring in some fog! I need to make these. 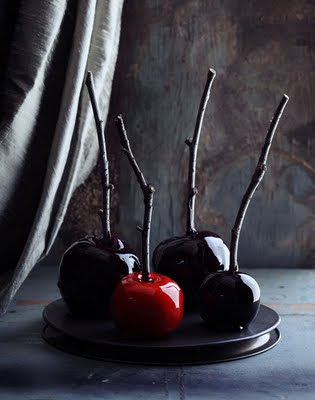 I love apples and I love candy so I don't think anything can hold me back :) Aren't the black ones so Snow White-ish?! and lastly, if you're going to have a wedding the day after Halloween, why not go all out. 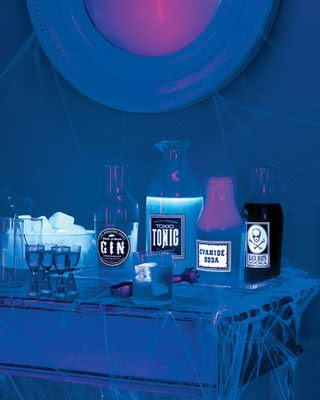 See here for the gorgeous pictures and don't forget to look at the vintage Halloween wedding Style Me Pretty just posted!